You'll be £25.00 closer to your next £10.00 credit when you purchase Coastal Passenger Liners of the British Isles. What's this? Order within the next 3 hours to get your order processed the next working day! At the beginning of the last century it was possible to sail from London to Glasgow via the south coast ports and Belfast, returning along the east coast from either Dundee or Leith for as little as five pounds. Those were the days when 300 passengers were landed twice weekly at Grangemouth or Dundee from the London boat, and the coastal passenger and cargo liner was in its heyday, catering both for the first class tourist as well as offering keenly priced second class fares for the like of football fans following away matches. Sadly, these wonderful steamer services are now largely forgotten but this new book will stir fond memories of the ships and their coastal voyages. The Depression of the 1930s, coupled with competition from both railway and the motor coach, were to spell the end for many of the coastal liners, while heavy losses incurred in World War II left only a few ships each offering just a handful of passenger berths. The story of their one hundred years of service is accompanied by numerous fascinating anecdotes, and the book focuses as much on the social need for coastal passenger services, the men and women who provided the services and the passengers who used them, as it does on the nuts and bolts of the ships themselves. This beautifully presented book will delight both ship enthusiasts and all those who enjoy the maritime and social history of the British Isles. 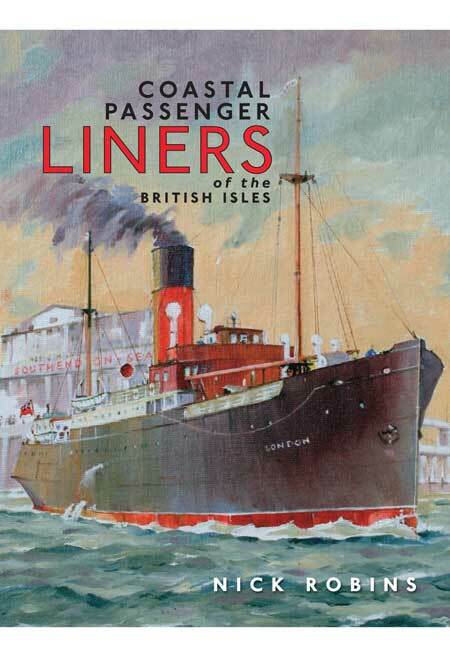 Provides a good overview of the history of the liners that served British travelers from the originof the steam ship to the extinction of the coastal liner service. The book is well organised, telling a broad story in roughly chronological order, but also including chapters that give depth to the bigger picture. Passenger ship enthusiasts will likely appriciate the book and consider it a great buy. It is a good resource for anyone interested in British Passenger Liners. CLAUDIA, Dione, Busy Bee, The Earl of Aberdeen – evocative names of passenger and cargo liners, and of an era long gone. The story of their 100 years' of service is brought to life here by Nick Robbins. A must for maritime enthusiasts. This is an excellent book on an often neglected part of our maritime heritage.